OSLO, Jan 17 (Reuters) – Some of Europe's richest deposits of valuable materials are in the trash, ranging from gold in smartphones to cobalt in electric car batteries, according to a survey of urban mining published on Wednesday. Scrap vehicles, batteries, computers, fridges and other electronic and electrical waste total about 18 million tonnes a year and contain materials worth billions of dollars, the report said, urging more recycling. A smartphone, for instance, has a concentration of gold 25 to 30 times that of the richest primary gold ores, according to the study, "Prospecting Secondary Raw Materials in the Urban Mine and Mining Waste" (ProSUM). A database (http://urbanmineplatform.eu/) tracks and predicts flows of materials in 30 European nations, from sales to the dump. "This is one step closer to a circular economy," Pascal Leroy, project coordinator and head of the non-profit WEEE Forum based in Brussels that promotes recycling of waste electronic and electrical equipment, told Reuters. "We've been doing the prospecting stage," Jaco Huisman, of the United Nations University and ProSUM scientific coordinator, told Reuters. He likened the project to geological surveys for deposits of materials from copper to silver. Each European, the report says, would own 250 kg (550 lb) of electronics – 3.5 times the average adult weight – along with 17 kg of batteries and almost 600 kg of vehicles if all equipment now in use were shared out. It predicts, for instance, that a shift to more electric car batteries and more electronics in vehicles will make car junkyards more varied in a shift from metals such as steel and aluminium. "For the first time we will see how the battery, electronics and vehicle sectors relate to each other," Huisman said. With sales rising, it shows that electric cars will become a source of materials such as neodymium, lithium and cobalt in coming years, especially in Norway, France, Germany, Britain and the Netherlands which have been early adopters. Last month, another study showed that the world's electronic scrap in 2016 contained 55 billion euros ($67.29 billion) of valuable materials, most of them squandered because of low recycling rates. Researchers last year detected 3 tonnes of silver and 43 kg of gold in effluent and sludge from waste water treatment plants – amounting to around 3 million Swiss francs ($3.1 million). Still, costs of recycling waste and rapid switches in technology deter investments in urban mining. "What can be very valuable now may not be worth much in a couple of years’ time," Leroy said. 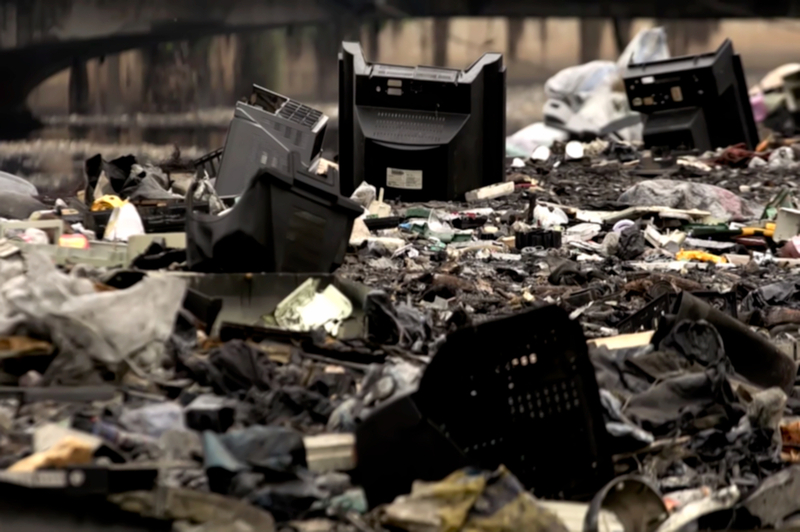 Wednesday's study shows, for instance, how waste copper found in old-fashioned cathode ray screens has been falling across Europe since a 2011 peak with the shift to flat screen televisions and computers. Eastern European nations may still be a good place to find such copper because countries in the region have lagged a shift to flat screens which contain other materials such as indium.